Hair lost plagues a good bit of the population. If you have ever had to deal with a bald spot or hair loss, you can fully understand the frustration. This leaves you in a panic trying to figure out how you can go about getting your hair back. Wigs are a good way to get over hair loss. Sometimes, using weave and stitching is your preferred way. However, neither of these are permanent and neither is your real hair. There is just something about growing your own hair that is the ideal way to go. That is where Biotin comes into hand. Biotin is a vitamin that works by nourishing your skin, hair, and nails. It is found in a lot of foods and provides several health benefits. Biotin supplements are made because the more Biotin you have, the stronger your hair becomes. It is more of a hair loss prevention method than anything. It also does a great job of strengthening your nails as well. Now that you have a basic understanding of what Biotin is, let’s dive right into Nested Naturals Biotin Plus 5000MCG product. Biotin consists of Vitamin B7. It is one vitamin that does a great job of strengthening your hair. However, Biotin alone is not enough to produce great results. That is why Nested Naturals created Biotin Plus. It consists of other vitamins such as B3, B6, and B12. They work to regenerate and rejuvenate cells. With healthy cells come healthy skin and hair. As an added bonus, you can expect to see an increase in energy. The vitamins that have been included in Biotin Plus have been studied and proven to help improve your hair growth when used together. As an additional benefit, you will begin to notice having healthier skin as well! The capsules are easy to swallow. Biotin Plus is also very eco-friendly. It is non-GMO and vegan certified. Are you suffering from acne as well? Then you should be glad to know that Biotin Plus works to keep your skin acne free as well. As with many supplements on the market, you should always check the ingredients and make sure it is safe for intake. Everything that makes Nested Naturals Biotin is all natural and vitamins. You do not have to worry about health issues, but you should pay attention to any changes after taking Biotin Plus. You may be allergic or find yourself not able to handle higher intakes of Biotin. Some people experience niacin flushes which are characterized by a bright red and blotchy face and a fiery feeling. Other side effects include chest tightening and breathing problems. These issues do not last long, but if you do experience any side effects, make sure to stop taking the pills and see a doctor. Nested Naturals Biotin Plus supplement is still a wonderful product. If you are struggling with hair loss, weak nails, or just an overall lack of energy, you will benefit greatly from Biotin Plus. The pills are easy to swallow and you have more than just Biotin in this product. With additional vitamins such as vitamin B7, B3, B6, and B12, multiple health benefits can be gained from Nested Naturals product. A major benefit that most people enjoy is the battle against acne. When taking Biotin, you should not have to worry about acne. Enjoy clear skin and never have to worry about pimples. 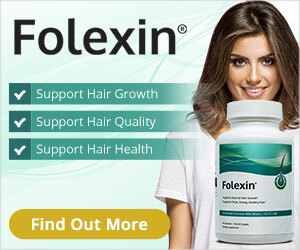 Biotin’s main purpose is to help with hair loss. As such, it is only logical to compare Nested Naturals Biotin Plus with another hair loss supplement. For our comparison today, we will compare Nested Naturals to NutraCraft’s HairXCel. HairXCel is a 3-in-1 hair growth formula that has one purpose, help your hair grow. It is made of Biotin, Silica, and other vitamins that are known to increase hair growth. It also does a great job of preventing the loss of hair. Another benefit of HairXCel is the ability to make your hair look healthy. It also affects your skin and nails similar to Nested Naturals product. With 23 herbs, vitamins, and minerals, it battles against DHT. This hormone is the number one cause of hair loss. The herbs help to reduce the amount of DHT that is formed in your body. Unlike with Nested Naturals Biotin Plus, HairXCel does not do a good job of increasing hair growth. It only does half of what Nested Natural’s product does. It can help prevent hair loss but that is all. You also do not get the additional benefits of increased energy. Both products are vegan and vegetarian-friendly as well. Even though the two work differently, Nested Naturals Biotin has the superior way of increasing your hair strength and also comes with other bonuses to go along with that. In conclusion, you should keep your hair, skin, and nails looking good with Nested Naturals Biotin Plus 5000MCG. They come in a small capsule that is easy to swallow and are some of the smallest pills on the market. They have combined several different vitamins into one along with Biotin to produce a product that helps in more ways than one. Just like with any supplement on the market, side effects are inevitable. However, you are made clearly aware of the side effects that you may experience here. Looking past that, you have a wonderful product that also works as a type of energy booster. Other hair growth pills on the market simply cannot match the quality that Nested Naturals provide. Their Biotin truly does help you with any hair issues you may have.